If you’ve ever wanted to get a true idea of how much the human can’t live without conflict, watch this video. 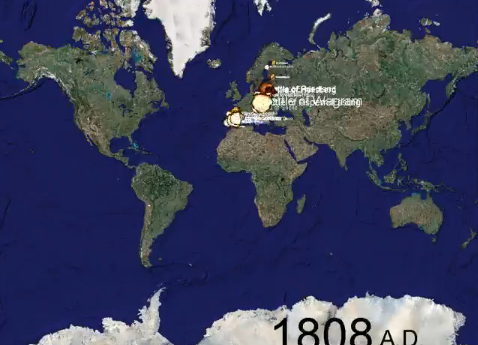 Although most of the names can’t actually be made out, this video will truly give you a good idea of when and where battles took place throughout history. It’s nice that there are a few scattered seconds where there doesn’t seem to be a single blip on the map, but still disturbing how few of these moments of peace there have been. Previous Previous post: Vihart blows our minds again.